OK, so you deployed updates in part 2. What does this look like for the end user? Assuming that your client is in the collection which you targeted in the deployment template, you should see a bubble appear. 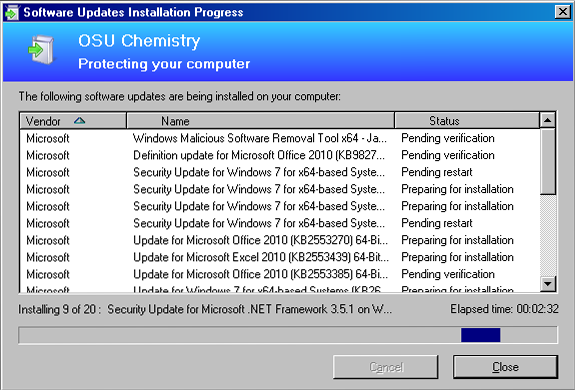 In my case, the deployment deadline has passed so SCCM is installing the updates without warning. 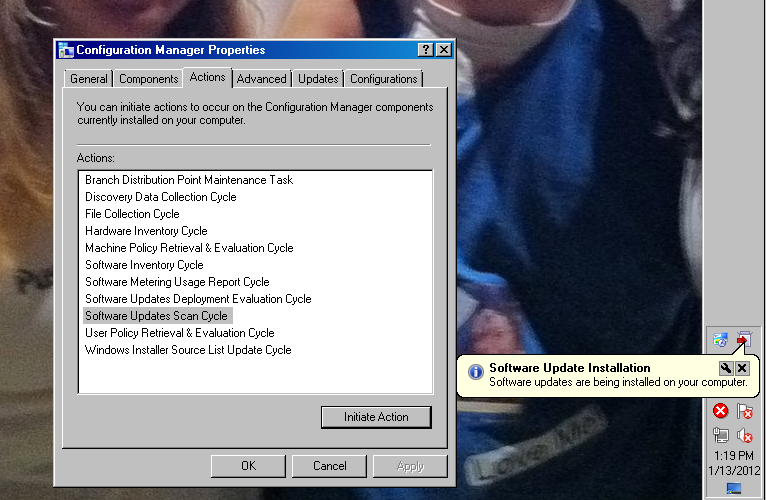 Normally the user would only be notified that updates are available and need be installed in the next ‘x’ days. Clicking on the bubble should show you the following screen. 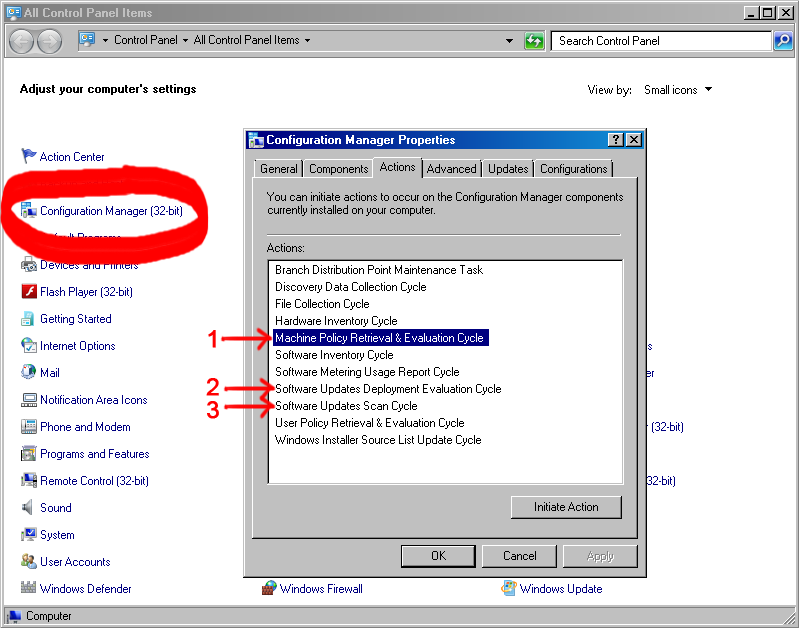 If the deployment deadline had not passed, clicking the bubble would prompt the user whether to install updates or wait. Updates! Woot! Look for a blog post soon on patching adobe flash and acrobat.